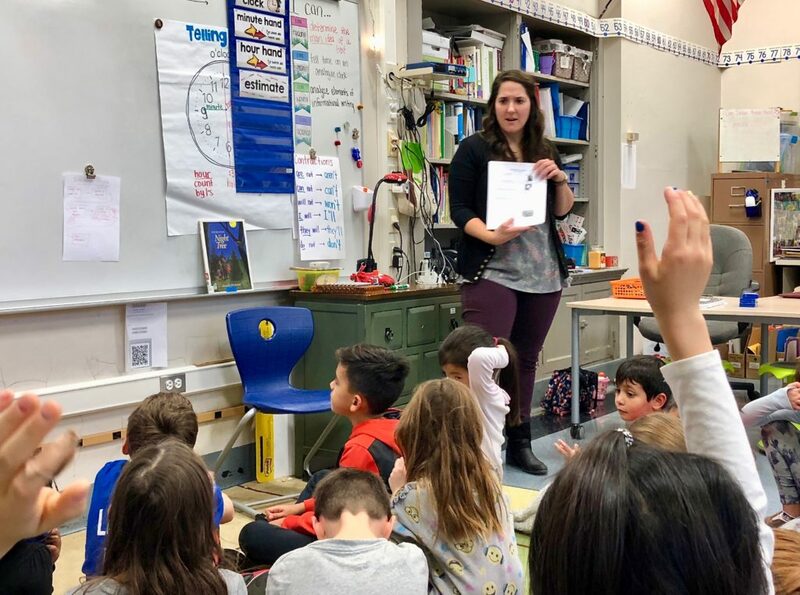 Monica Brennan has been teaching at Angell Elementary for five years. She grew up in Royal Oak, the daughter of a nurse (mother) and a Chrysler assembly worker, both of whom valued honesty and compassion. She has a large, loving, and vibrant family that includes five brothers, five sisters, and many nieces and nephews. 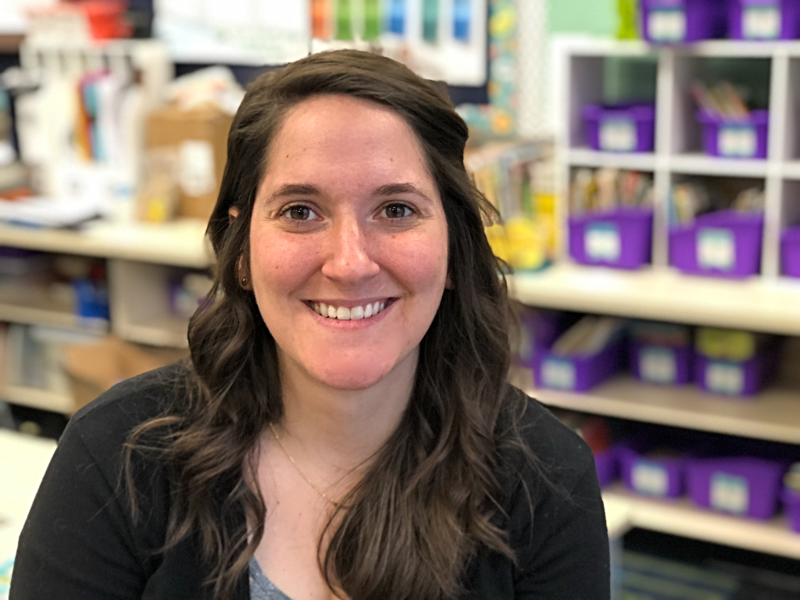 Her husband, Zach, teaches elementary school in South Lyon. Brennan graduated with both her bachelor’s and master’s degrees in education from Michigan State University, and before moving to AAPS, taught in Detroit and Belleville. She enjoys fresh air, cooking, reading, playing games with family and friends, traveling, and her two cats. What was always written on your report card in grade school? My report cards always said I was a quiet but hardworking student. What is your fondest memory of your own second grade experience? My fondest memory from second grade was going outside with my class and playing Duck-Duck-Goose under the oak tree in the courtyard. What inspired you to become a teacher? My first grade teacher. I was struggling to read and I remember her taking me into the hallway, wiping tears off my cheeks, and telling me that I just needed to keep practicing. By the end of the year, I loved to read and I loved going to school! 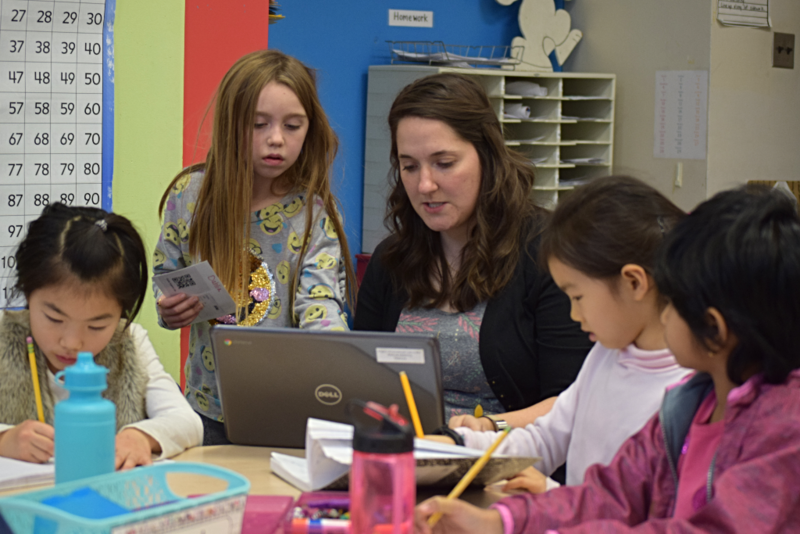 In your 5 years in AAPS, what’s the most important thing you’ve learned about teaching? About learning? The most important thing I’ve learned about teaching is how important it is to value the relationships you have. Not only the relationships with my students and families, but with my colleagues as well. I’m surrounded by amazing individuals all day, and I’ve learned that I’m better because of them and what they’ve taught me. Describe an average workday. I usually get to Angell around 8 to prepare for the day and say hello to my colleagues. My favorite part of the day is greeting my students in the morning. Once the day starts it goes by really fast, sometimes I can’t even believe 7 hours flew by! Some days I stick around Angell, whether it’s to get some exercise in with colleagues or catch the copy machine while it’s vacant. Once I get home I like to cook and will often make dinner to enjoy with my husband. I’m not a night person, so I’m usually cozied up in pajamas and ready for bed. What advice would you give to a first-year teacher? Embrace mistakes. Every day is different in teaching, so be flexible and allow yourself to make mistakes and learn from them. Don’t be too hard on yourself! What’s the happiest part of your day? Those unplanned moments when everyone in the classroom is laughing. I’m lucky to say that this happens all the time! Favorite websites: I love reading about new recipes and searching for new things to do in the kitchen. Apps you can’t live without: The weather app. I need to be prepared for recess! What makes teaching at Angell unique? The people! The staff is friendly and so knowledgeable, we really care about each other. Our community is diverse and we celebrate it! The students bring so much curiosity and knowledge into the classroom, I really do learn from them and enjoy talking to them. We’re a small school but once you’re here you realize that you’ve been welcomed into something wonderful! If you could talk to your teenage self, what would you say? Cherish the ones you love and keep them close. Also, technology is going to blow you away and emojis are surprisingly very useful. What do you know about teaching now that you wish you’d known that first year? Less is more. I tried to do so much my first few years of teaching! Just focus on the things you can do well to really make an impact. How do you keep students engaged? Giving them some choices in their learning and taking time to play games and have fun together. What is the most rewarding part of teaching? The students. The interactions I have with them are priceless. I can’t imagine doing anything else. What do you wish everyone realized about the work of a teacher? The students are always forefront in our minds. We’re going to advocate for them because we care about them and we see their potential. We’re working nonstop—long after our workday has ended—because we want to be prepared and ready when the students are there. Also, teachers are super-human-multi-taskers. How do you recharge? Friends, family, cooking, playing games, sleeping, reading, traveling. How do you spend your summers? I love to travel around Michigan and spend time with my family and friends. My husband and I are lucky to have the summers off together. We like to recharge and travel to state and national parks. The past few years I taught at the Summer Learning Institute, which I’ve really enjoyed. What’s most exciting about your professional life right now? The most exciting thing about my professional life right now is that I’ve been at Angell long enough for my past students to stop by, say hi, tell me how they’re doing, and give me a hug. Every day brings new challenges, teaching keeps me on my toes, but those little things make everything feel complete.